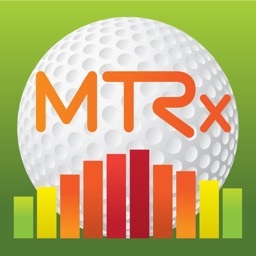 What is Hitting Metrics - MTRx? 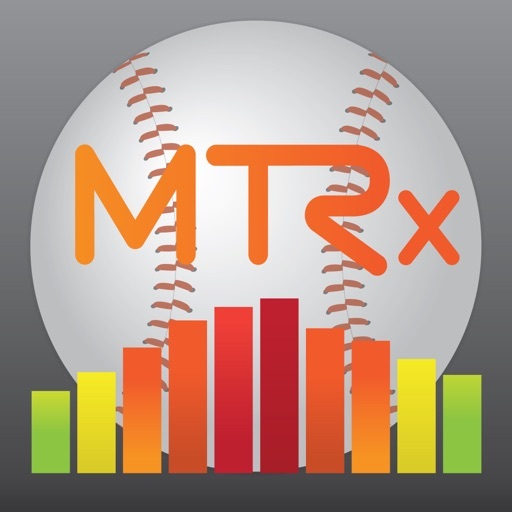 Hitting Metrics - MTRx is a new app for Baseball, Softball, and Cricket batters of all ages and skill levels. Core speed and quickness for bat speed and power. Load and impact position of hips to enable hitting to all fields. 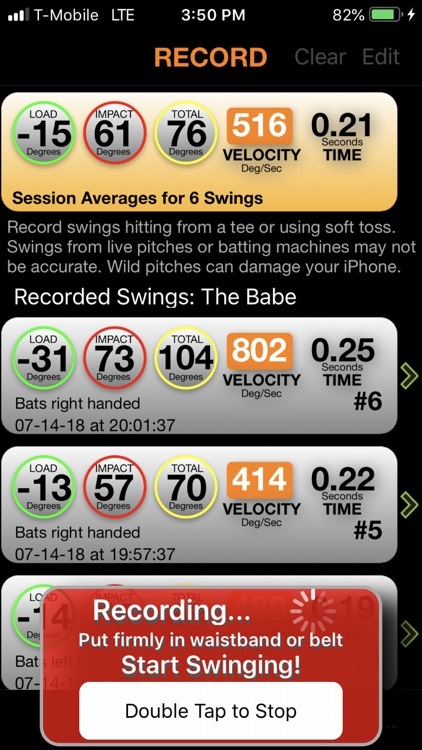 Switch hitting with consistent metrics from both sides of the plate. 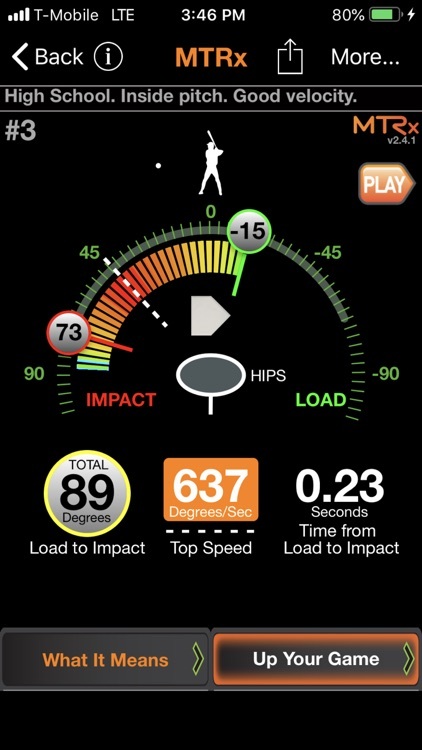 Hitting MTRx will measure the rotation of your hips at Load and Impact positions. 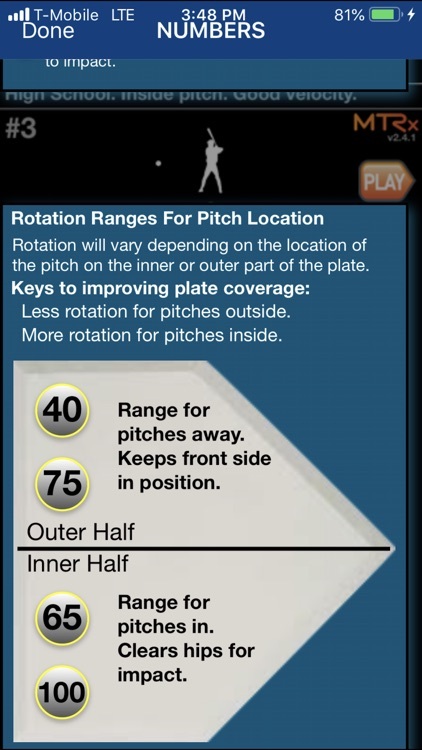 The correct rotation is critical for getting into position to hit ball that are inside, middle, or outside. 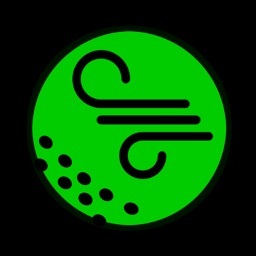 The measured Velocity reported for each swing is the top speed in degrees per second that your hips reach during the swing. 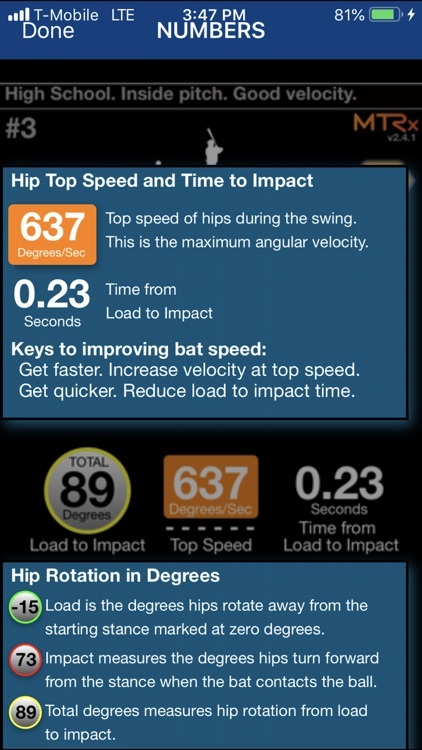 Use velocity as a reference to see how hip speed affects your hitting. The time in seconds shows how quick your swing is from the point you start after loading to the impact of the bat with the ball. Developing quickness from your core through the sholders, arms and bat is critical to improving power and bat speed. 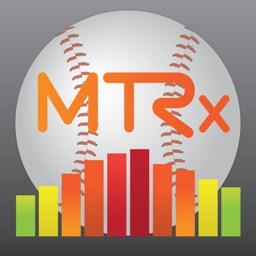 Hitting Metrics - MTRx directs you to instructional videos and resources from top coaches and trainers. 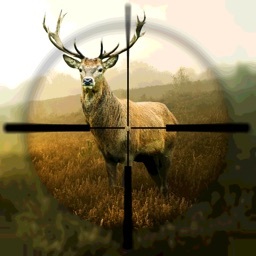 Internet searches are keyed to hitting related terms to help you quickly find great drills, tips, videos, and more. 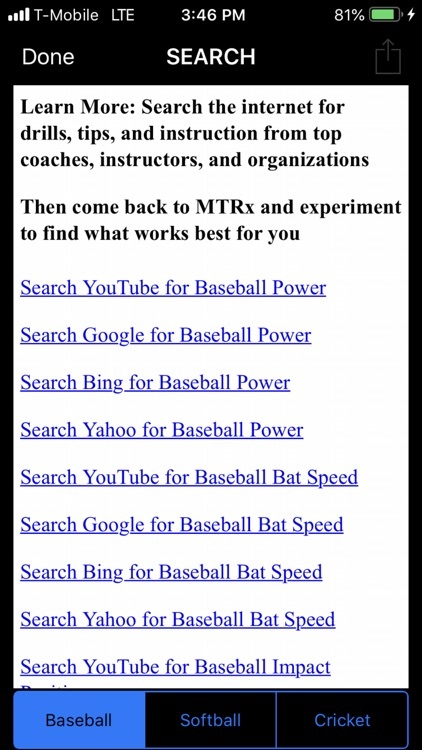 One tap searches of Google, YouTube, Bing and Yahoo for unlimited resources to help you improve your hitting. 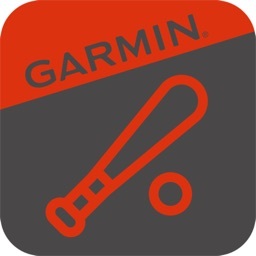 Searches can be targeted for your sport: Baseball, Cricket, or Softball. 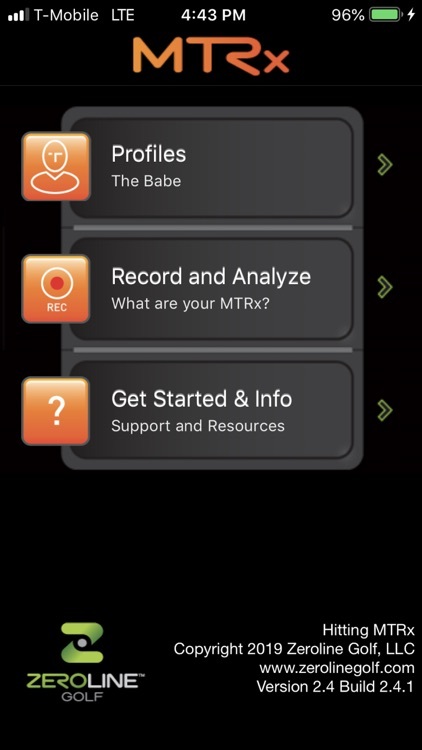 Learning about load, impact, speed, the kinematic sequence and other MTRx terms is easier by exploring the wealth of knowledge from top coaches, instructional sites and organizations. 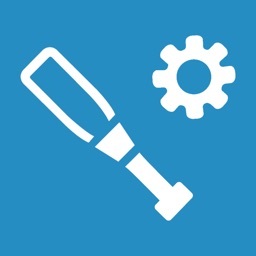 Go explore, try new drills and tips. Then come back to MTRx and experiment to find what works best for you!